Of course, a pushchair is definitely a must have product if you have a little one. A Cosatto Supa Pushchair is a great pushchair and has many positive features that I always rave about. 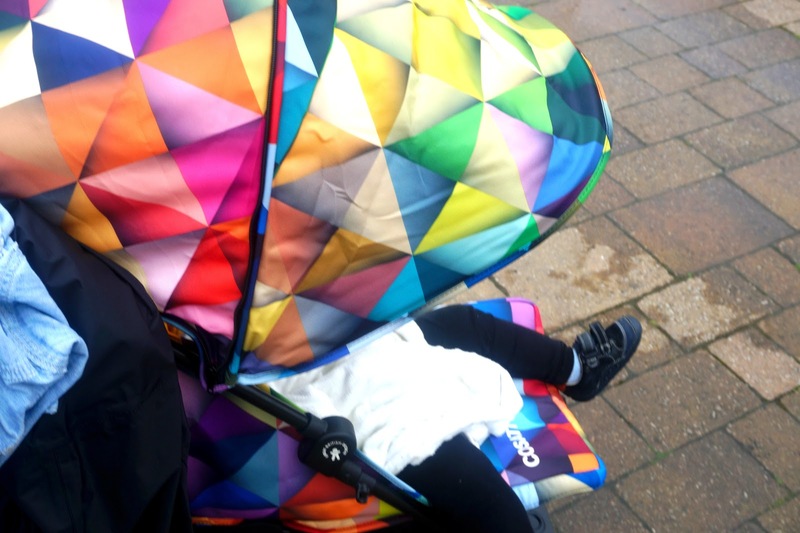 It reclines flat, has an extended hood which is great for blocking wind or the sun and not forgetting the amazing rain cover that fully covers the whole pushchair too. It's also a lightweight pram that's nice to push and also folds flat which is great for storage. There are many car seats to choose from, but this Joie Bold Carseat is a group 1-2-3 which means it also grows with your baby. There are more car seats to choose from in the Smyths Baby Catalogue that are suitable from birth onwards. This Babylo Cozi Sleeper is suitable from birth to 9kg. From using a co-sleeping cot with Freddie, I can honestly recommend one of these cots. They are great if you are breastfeeding and also a great way to bond with your baby. There's a 5-position height adjustment and there's also soft mesh ventilated sides and a ventilated drop side too. Once your baby outgrows their moses basket or bedside cot/crib, a cot is needed. Or for some, a cot is used from birth. There are many baby cots to choose from and it all depends on what taste you have what your budget is. A cot can be used for a good couple of years until it's time to transition your baby to a bed. But there's also a choice of cots that transforms into a cot bed, which could save you money. Again, there are so many different kinds of rockers to choose from and honestly, this is a product I would recommend. Having a baby is hard work and you don't get much time to yourself. By having a rocker, it may help you get 5 minutes too yourself, whether you just want some free hands for a change or you need a quick run around for the housework, a rocker could be great for that. As your baby gets older they will be more awake and more alert with things such as sounds, colours and other surroundings. A Jumperoo is a great item to have to keep your little one entertained. Again, this product is great to help you be able to have some free hands or get on with a few bits around the house. Whether you're breastfeeding or bottle feeding, nursing pillows are perfect for feeding and/or cuddling your little one. I had a nursing pillow for my third baby as I was breastfeeding him. However, I really wish I had one with my first and second too. They're so comfortable and have some great uses. What are your baby/toddler must haves?